Dr. Lalloo only uses a Genuine Dermaroller™ medical device. This involves a treatment to produce thousands of tiny micro-columns in the skin. Each micro-column penetrates the skin, releasing growth factors and lessening marks, wrinkles and scarring. The column will close rapidly enabling the skin to recover quickly – often in the same day. Dr. Lalloo uses topical numbing cream to make this treatment as comfortable as possible. Usually people can return to normal activity the next day. 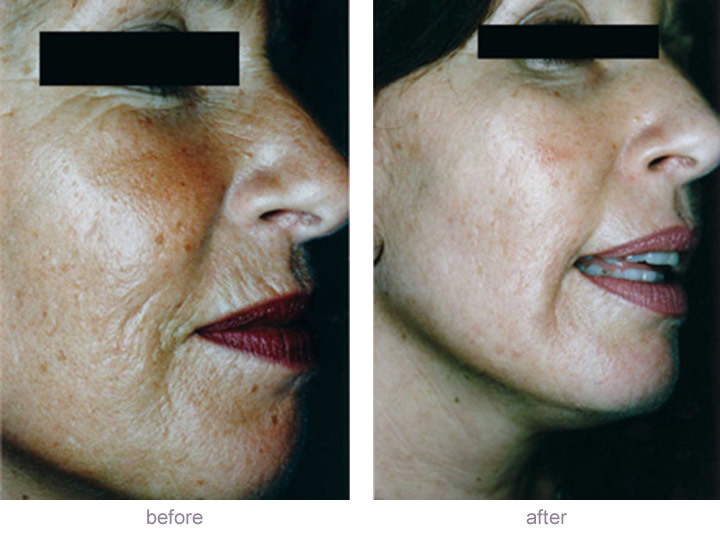 After a Genuine Dermaroller™ Therapy™ procedure your body will start to naturally regenerate and repair the skin, working below the surface. This takes time as new collagen is formed, new skin cells are generated and blood supply is enhanced. It can take up to 6 weeks before visible signs of regeneration and repair are seen and the process will continue over the following months, providing you with a natural and long lasting enhancement. Dr. Lalloo normally recommends that your Genuine Dermaroller™ Therapy™ consists of a series of three Genuine Dermaroller™ procedures with approximately 6 weeks between them. 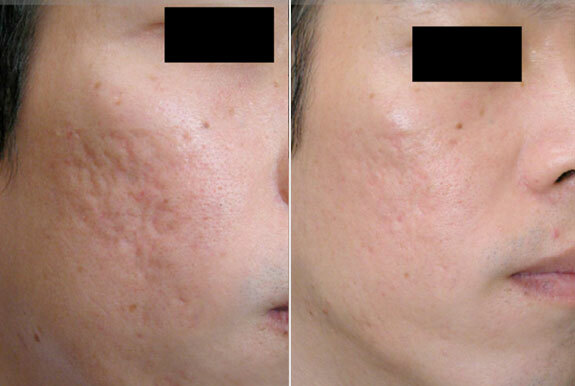 In the treatment of acne scars and other types of scarring it may be necessary for you to extend your Genuine Dermaroller™ Therapy™, carrying out up to five treatment sessions. We only use Genuine Dermaroller™ in our treatments and avoid cheaper copy Dermarollers as they can cause serious problems. We always use a new Genuine Dermaroller™ for each treatment so you don’t have to worry about infection or inferior treatments. Your first treatment, with all the creams you will need with a new Genuine Dermaroller™ is €350. Subsequent treatments with a new Dermaroller on each session are €275 each. Your first treatment, with all the creams you will need with a new Genuine Dermaroller™ is €350. Subsequent treatments with a new Dermaroller on each session are €275 each.